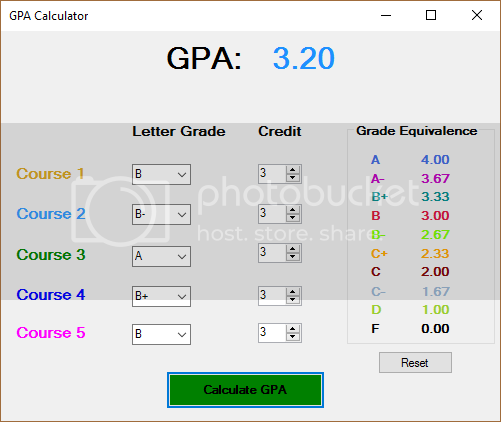 This is a GPA calculator that was programmed using visual basic. It calculate the grades for 5 courses. Feel free to modify the program, add more courses or more features. If you have any question leave it in the comment section below.